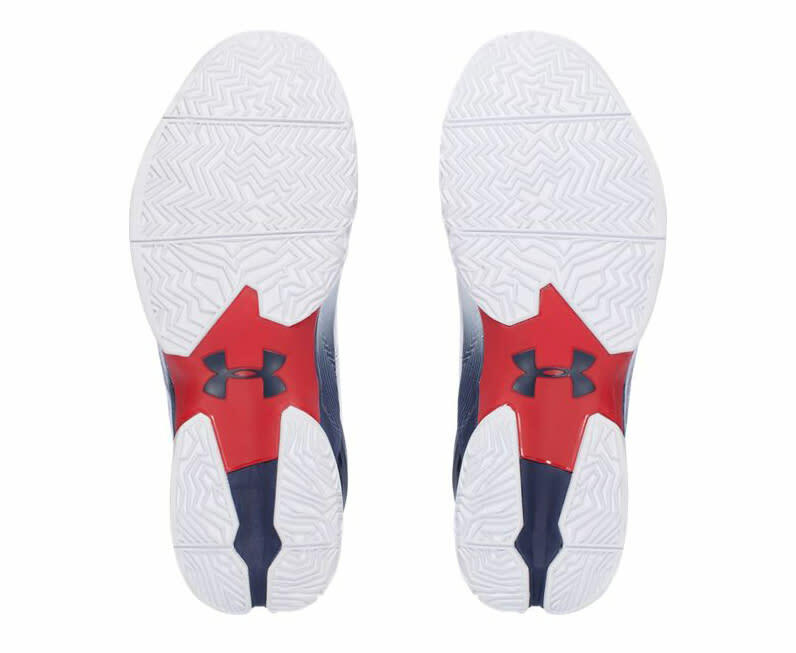 Patriotic flair on Under Armour Curry 2s. 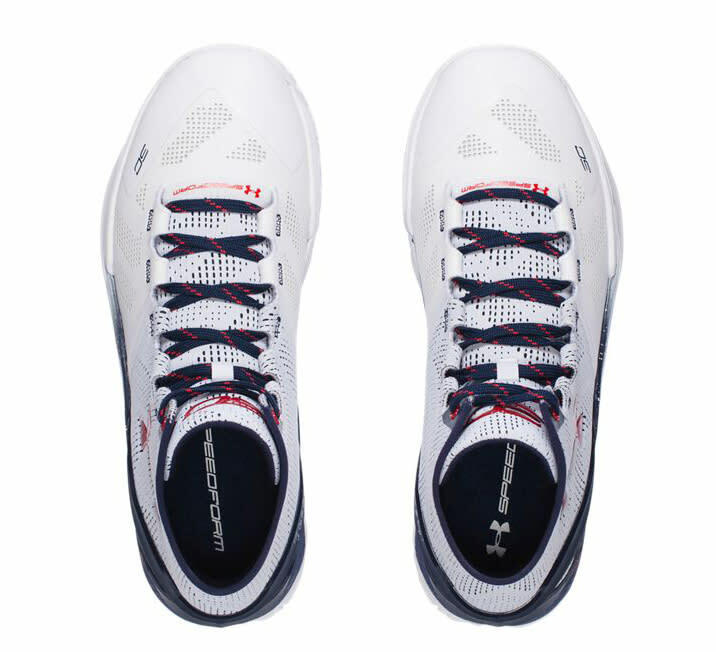 Independence Day is still over a month away and Olympics season is even further out, but that's not stopping the Under Armour Curry 2 from dressing up in red, white, and blue. This latest version of the sneaker, officially called the—you guessed it—"Red, White & Blue" Curry 2, borrows the colors of the American flag without going all stars and stripes. This Curry 2 release will be available at Under Armour stores and big box sneaker chains come Saturday, May 28. Readers can get updates on Steph Curry shoes here. 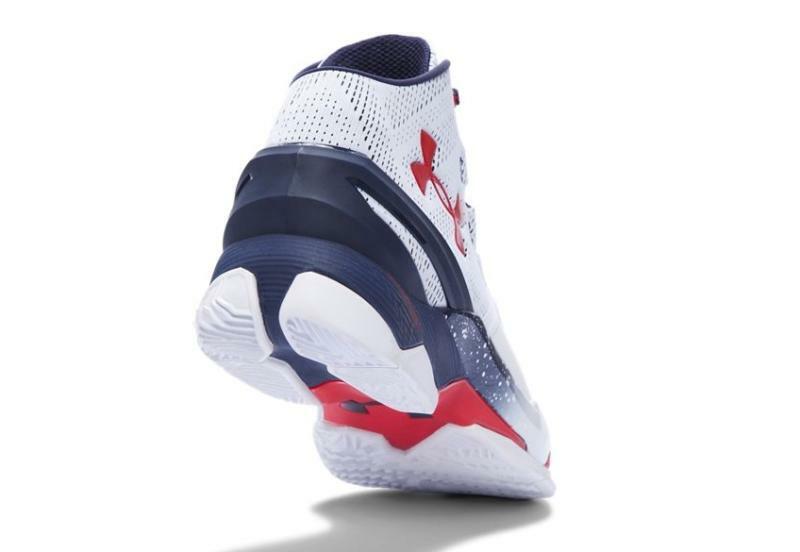 Under Armour Curry Two "Red, White & Blue"